Do you love the Android operating system as I do? :-) Probably, "Yes" might be your answer. What do you usually use it for? For watching YouTube, surfing the Internet. Yes, these are two main purposes an Android-powered device is used for. Also, dongs. But have you ever thought of how you miss Android when you're away from the tablet computer? This should be put an end. That's why the guys from Google created a project called "Android-x86 - Porting Android to x86". Its goal is "to provide complete solution for Android on Eee PC platforms first and then to provide solutions for common x86 platforms as well". This is why we are going to make an install for ASUS Eee PC family. Hereinafter, there will be shown how to deploy Android in a virtual machine by way of example of VirtualBox. First of all, download an image of a virtual (IDE) hard drive for VirtualBox. Unpack it. Install it into VirtualBox as a bootable IDE drive. You will need, at least, 256 megabytes of RAM on VirtualBox. Also, a mouse pointer is required to control the operating system and its applications. 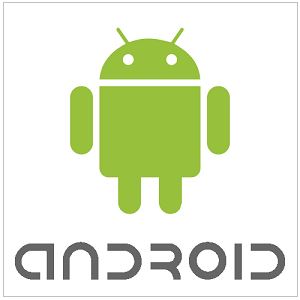 Android is an operating system based on the Linux kernel, and designed primarily for touchscreen mobile devices such as smartphones and tablet computers. Neither device is being available for us at the moment. The eth0 interface is up - this is good. This means everything's going okay. where the 8.8.8.8 is your DNS. Return to the home screen by pressing Alt+F7. Everything is ready for the work.